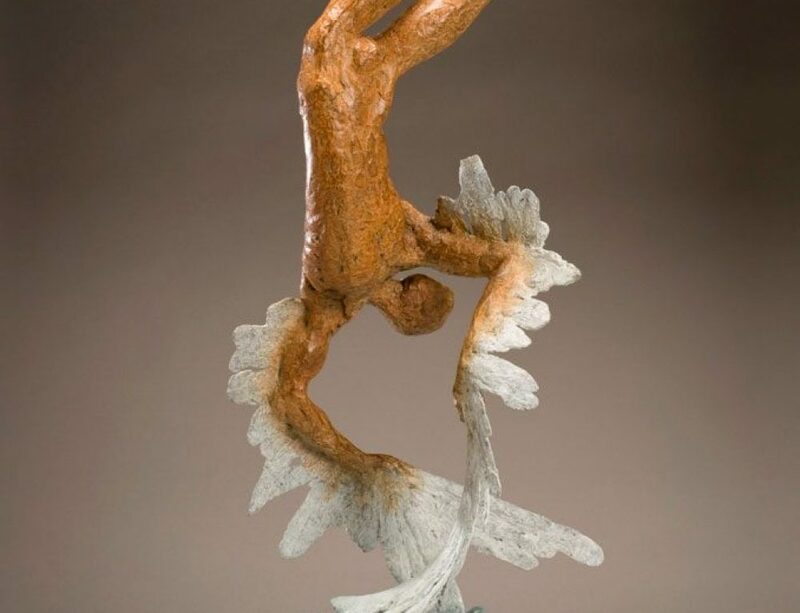 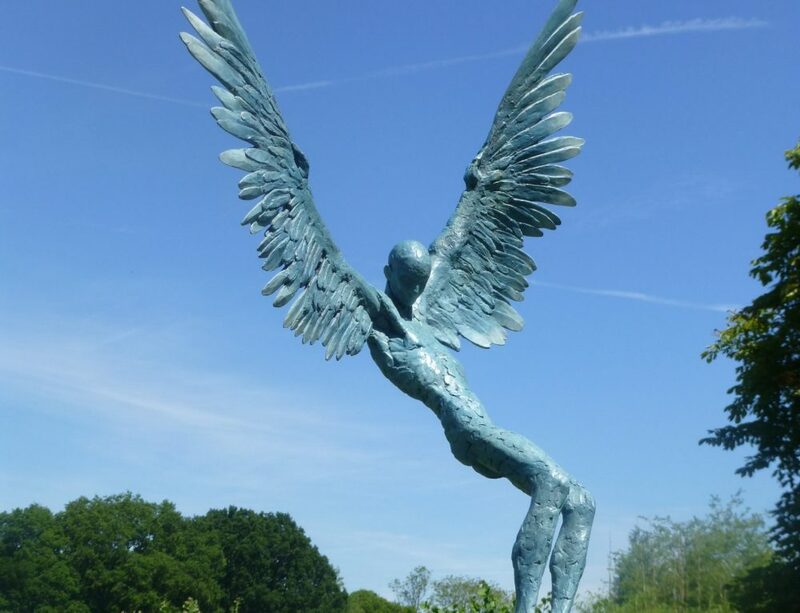 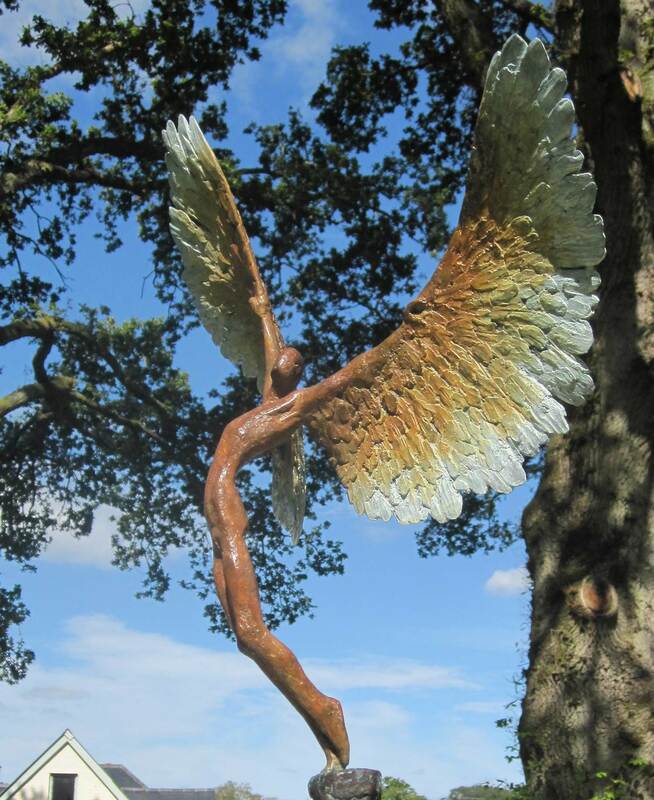 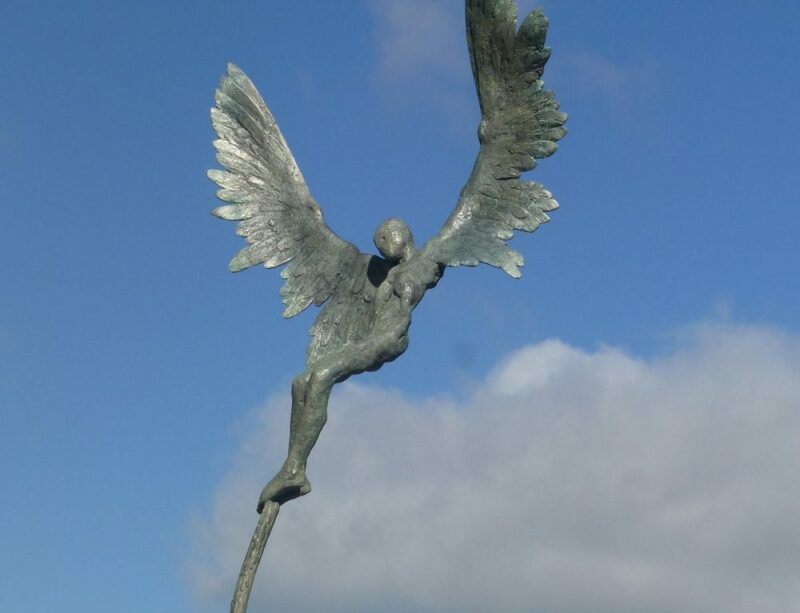 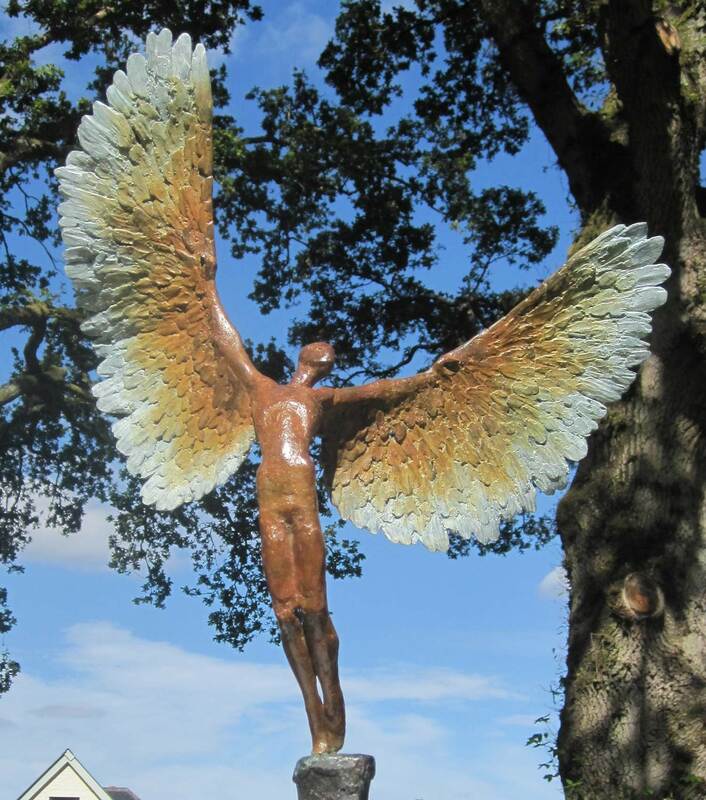 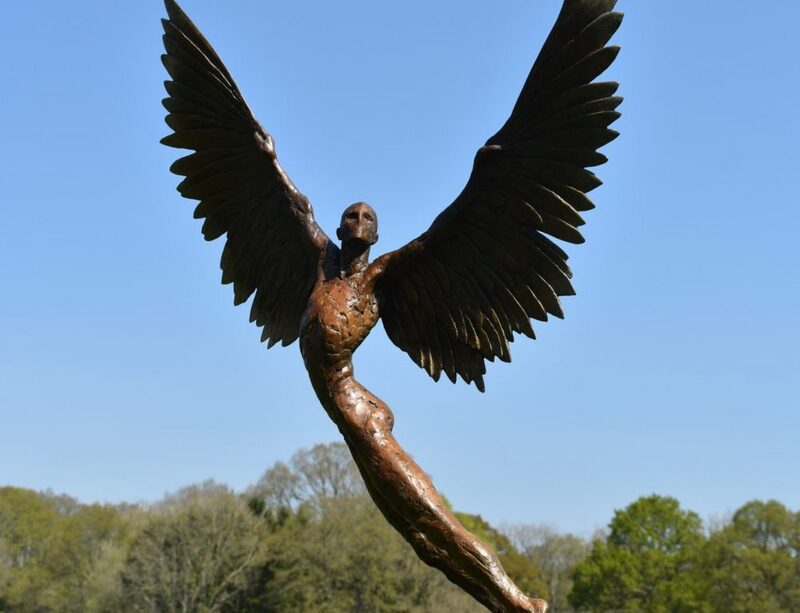 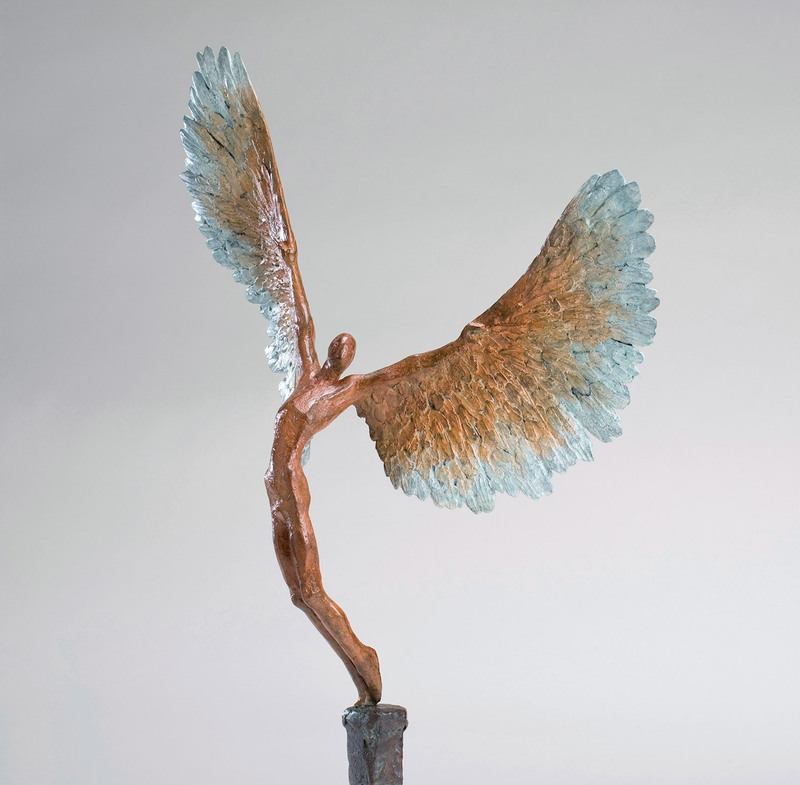 This piece of sculpture is another version of my idea about how the mythological character of ‘Icarus’ began his flight. 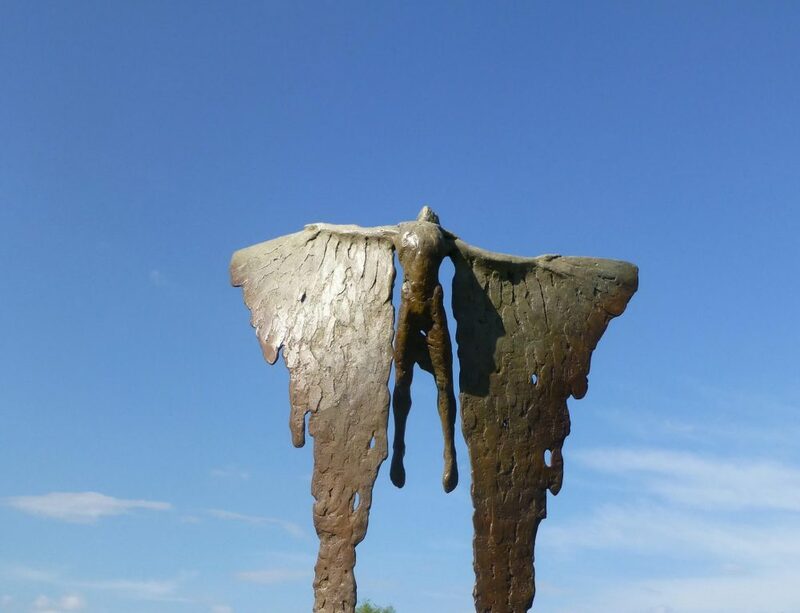 This artwork is the closest to the life sized Olympic sculpture that I made in 2012.. 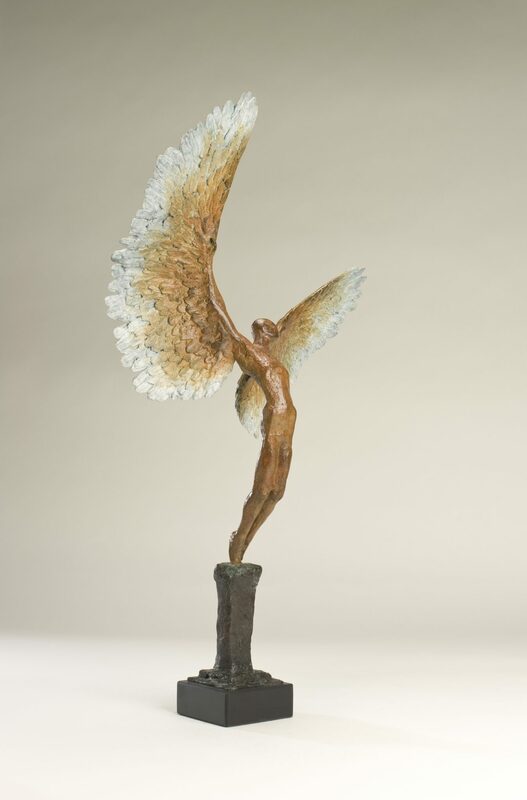 This bronze sculpture stands at 55 cm high and is 33 cm wide. 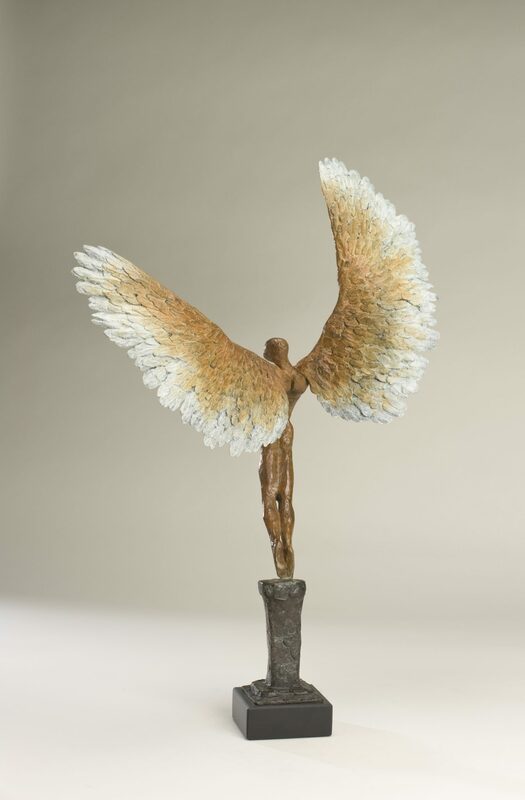 It is a small sculpture and most suitable for interiors.